Countertrend traders huddle up! CAD/JPY is currently sitting on the 83.50 handle, which is right smack at a falling channel support on the 4-hour time frame. 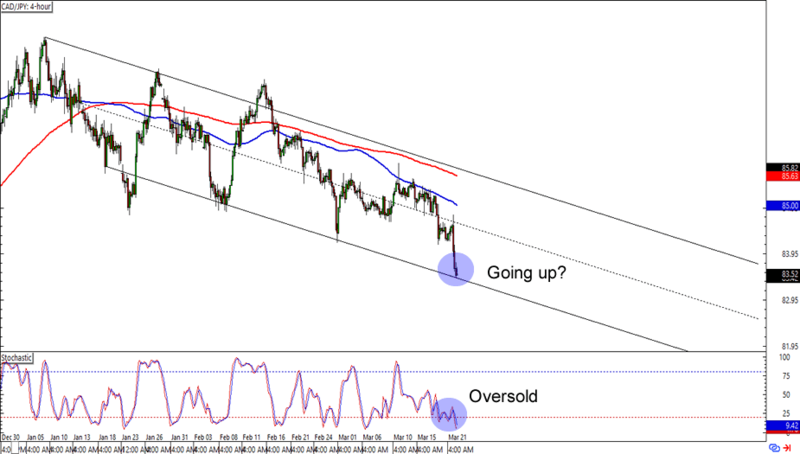 What makes the setup more interesting is that the level has served as a solid area of interest back in November and that stochastic is currently in the oversold territory. Will the Loonie see a bounce against the yen? Aggressive countertrend playas can take advantage of a bounce and aim for at least the monthly highs near 85.00. Countertrend trading isn’t for everyone though. If you’re one of them more conservative traders, then you could also wait for the pair to go back up to the mid-channel or channel resistance levels before placing your short trades. In any case, make sure you practice good risk management when executing your trading plans! 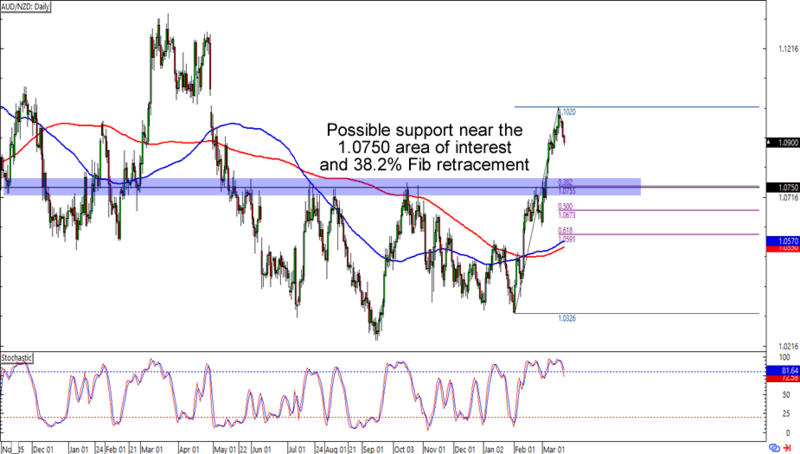 After finding resistance at the 1.1000 major area of interest, AUD/NZD looks set to see a bit of retracement. The 1.0750 handle is a pretty good place to start seeing as it has served as legit resistance for most of the second half of 2016. Not only that, but this time around the level also lines up with a 38.2% Fibonacci retracement level on the daily chart. Buying at those levels could make for a good reward-to-risk ratio especially if you think that the Aussie will aim for its 2016 highs. Make sure you’re using wide stops though! After all, currency crosses like these tend to see more volatility than the majors.